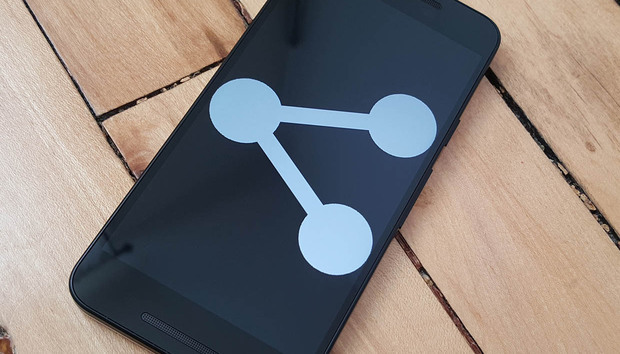 Android has long made it easy to share files from the system sharing menu, but as the size of the file you want to share goes up, so too does the difficulty in sending it anywhere. When you creep into the dozens and then hundreds of megabytes, not even email attachments will do you any good. Luckily, there are a number of apps and services that can make it feasible to share large files without a bunch of legwork. Here’s what you’ve got to work with. SuperBeam is the best way to send a large file when you’re in the same place with the recipient of the file. This app uses Wi-Fi Direct, as do several others. However, it’s far and away the best implementation of the technology on Android. Both you and the recipient will need to have SuperBeam installed, but the basic ad-supported version is free. SuperBeam forms a WiFi connection between two devices to push files. You can initiate a file transfer using NFC or a QR code. Simply use the Android sharing menu to select SuperBeam and hold the phones together (or let the recipient scan the QR code with the SuperBeam app). If you’re both on the same network, the file will go over the local WfFi, if not, SuperBeam creates an ad-hoc connection (i.e. Wi-Fi Direct) and shoots the file over. It’s incredibly fast in either case. The files are sent directly without stopping off in the cloud, so it’s more secure than many alternatives. You can do all of this with the free version, but if you want to remove the ads or access advanced features like custom saving locations, you’ll need the $1.50 pro upgrade. Pushbullet is great for a lot of things, but pushing files is still part of the feature set. It’s a really handy way to share big files with people no matter where they are. You both need to set up Pushbullet, but after that it’s the most painless way to send a big file. Pushbullet is one of the most convenient ways to send large files, but you need a subscription to unlock its full potential. You can access Pushbullet from the system sharing menu in any app, or open up Pushbullet itself and create a new push to one of your contacts. It behaves a little like a messaging app in that respect. The recipient of the file will be notified when it’s available for download, and it shows up in their “conversation” with you in Pushbullet. However, they don’t have to download it right away. The only caveat with Pushbullet is that to send files over 25MB, you need a paid pro account for $40 per year. That boosts the limit to 1GB. The person receiving the file doesn’t need the paid version, though. You don’t always have the luxury to make someone download and set up a new app in order to send them a file, and that’s when Infinit comes in handy. It only takes a few taps to select a file and send it to anyone you like via email or SMS. There’s also no file size limit, which sounds like something you should put to the test, right? Infinit sends regular download links to anyone you want. Files sent via Infinite are uploaded to the cloud, but they’re automatically encrypted while stored. All the recipient needs to do is click on the link and download the file. No extra software is necessary and all files will be available for a week. The only potential hiccup in the process is that you need an Infinite account to use the app. The person receiving the file doesn’t, though. If you need to make a large file available to multiple people over more than a week, you can just fire up Google Drive. Everyone gets 15GB of free space, and additional storage is cheap. This process takes a few more steps, but neither you nor the recipients need to download new apps. Drive is still the best way to share large files that need to be accessible for more than a few days. First, find the file you want to send and use the share menu to send it to Drive. You’ll get to pick the folder, so make a note of where you send it. You can let the upload happen in the background, then open the Drive app and go to the info panel for the file. Tap “Share link” and you have the option of sending the link via any messaging app on your phone or simply copying it to the clipboard. If you want to stop sharing the file at any time, just head back to the info panel and scroll down to the “Who has access” header. Turn Link Sharing off and the link will go dead. Alternatively, just delete it. It’s probably a good idea to get these apps ready to go just in case. That should keep you pretty well covered no matter what sort of file sharing emergency comes up.